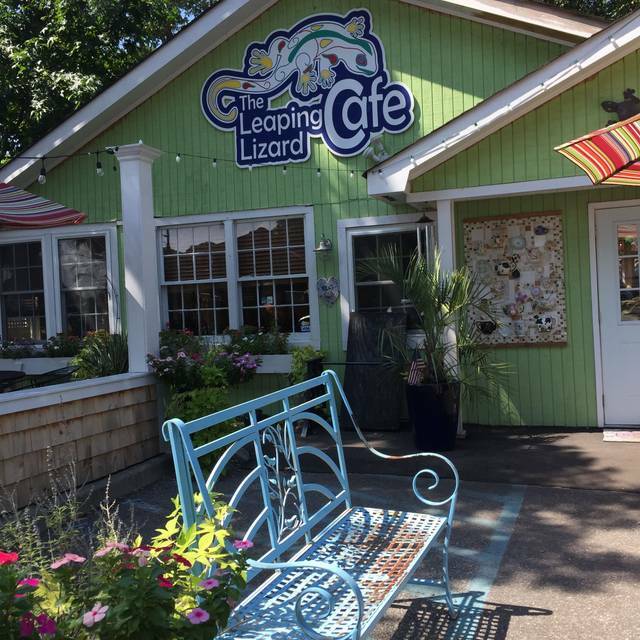 You must make reservations at least 5 minutes in advance of the time at Leaping Lizard Cafe. 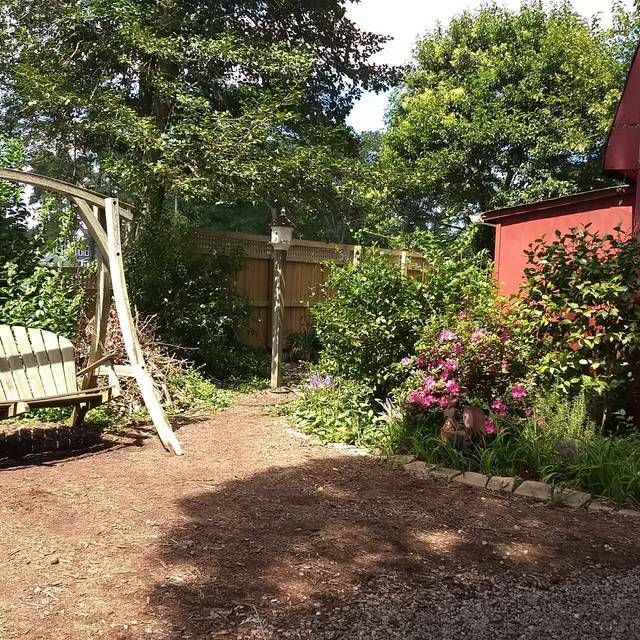 Situated under a canopy of old growth trees on Lake Joyce, this natural gem serves seasonal fare from tidal Virginia. The menu reflects freshness with a distinct emphasis on showcasing the inherent colors and flavors of the ingredients. 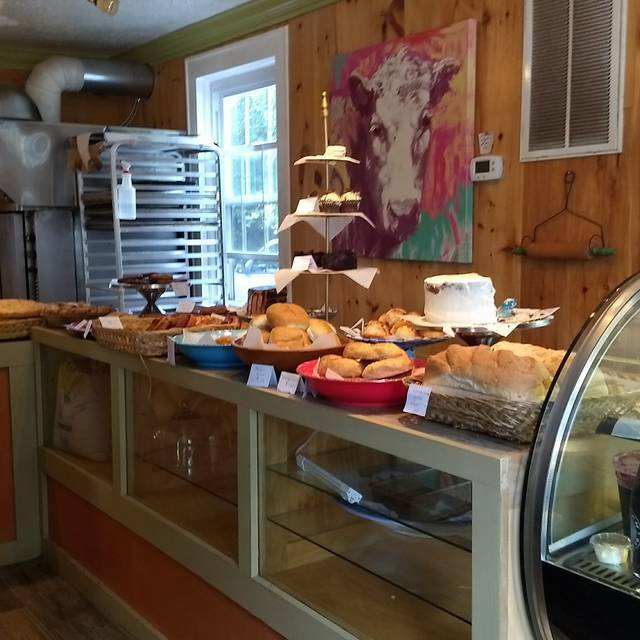 The cafe's bakery provides all its breads and deserts and is open for retail on the weekends. 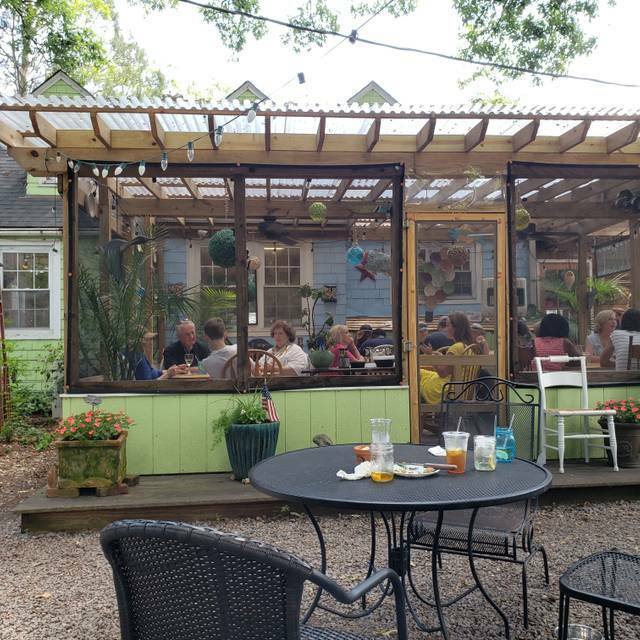 This fresh approach to food done in a natural and unpretentious setting has been a local favorite for twelve years. If you don't see your desired time slot available give us a call. We had a great experience from start to finish. We started with a fried oyster appetizer. I got the steak my friends got a seafood pasta and tuna dish and it was all delicious! Service was great! It’s such a cute cozy beachy spot! Shelby served us at the bar and we had a wonderful experience from start to finish. Her recommendations were outstanding. 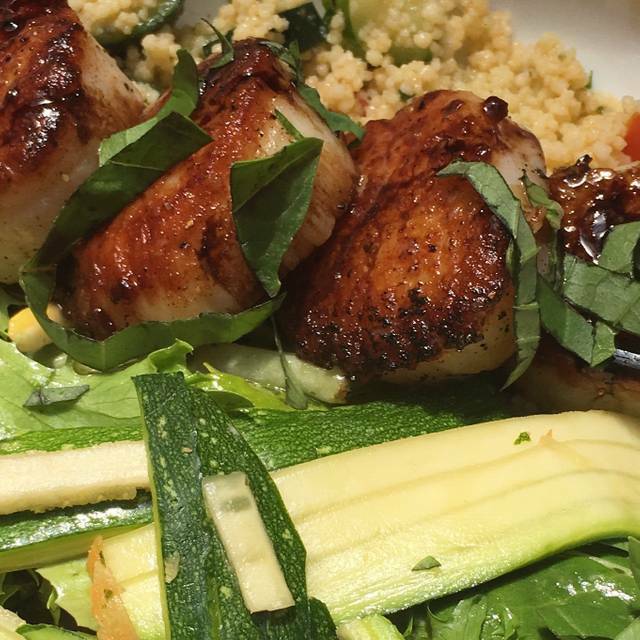 Each and every dish we had was fresh, flavorful and exceeded our expectations. The fried oysters were the best we’ve had maybe ever - and we travel to New Orleans, the OBX, the Gulf Coast and New England regularly. We were a group of six, and we were seated on the patio by choice. Our party ordered salads, the cioppino, fried oysters, blackened salmon mac and cheese, and salmon cakes. Everything was delicious. We shared house made bread pudding and carrot cake for dessert. Salmon cakes, cioppino, and duck two ways, were all delicious. The chocolate ganache cake and chocolate brownie were great. The bread pudding was, good, but not great. Lunch, dinner, brunch - always great food. By far one of my favorite places to have lunch, the food never disappoints, the staff is always friendly and the overall ambiance is perfect. Best restaurant for variety and quality of food and beverages as well as excellent service and eclectic decor. Our number one pick in Virginia Beach. Great food and service, as usual. We've been to Leaping Lizard 3 times now and it's our favorite restaurant in VA Beach! It's our new "go to" place every time we visit our daughter. We love that the menu changes and the daily specials. Most recently we had the mussels that were delicious and there were plenty of them. The shrimp and grits were the best we've had! The ambiance is lovely, inside or out. We are never disappointed with our Lizard experience! 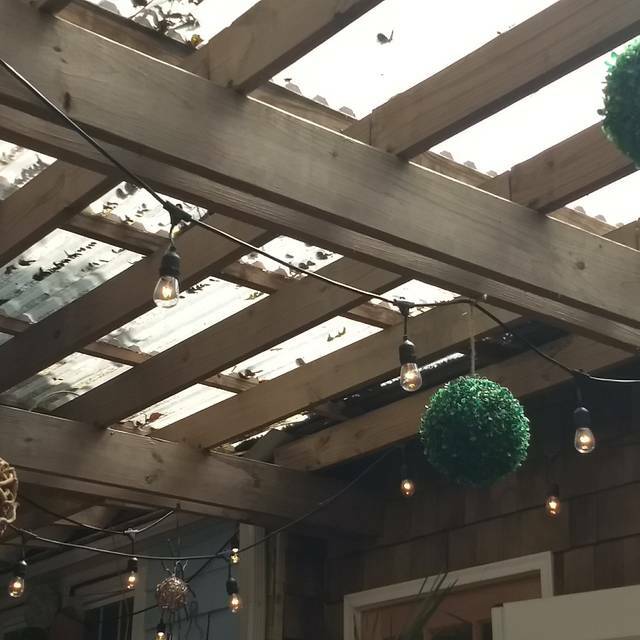 The food was great along with a beachy atmosphere, excellent service, and delicious all natural food. Excellent dinner outside in their back patio area. We had the Rockfish dinner - great value! I parked in the handi-cap parking place...because I am. And the greeter asked me if I had a was eligible because they have several "elderly" people. I am a Sr. They should have more parking then parking in the grass and dirt. I used to go here often but will not go back. The Leaping Lizard is one of my favorite places to meet for lunch. 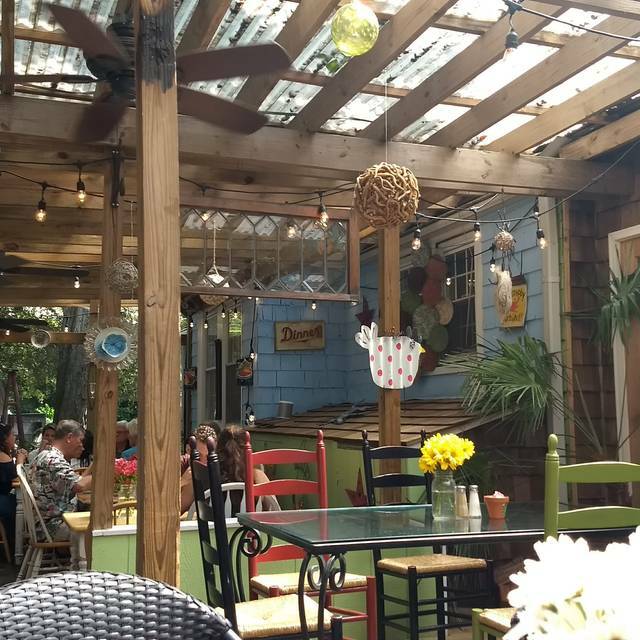 Their menu is colorful, healthy, and varied........ and their back porch (screened in) is my choice because less noise, and nice view of out doors. Wonderful desserts. Sarah took great care of us! Server/bartender never checked us between serving and bill. Food served in 10 minutes and appeared just reheated. Still cool. Have been here many times but very disappointed this time. Great food and fresh ingredients! I always enjoy my experiences here. Date night with my bride. App’s, entree’s, dessert, and wine were all fabulous and reasonably priced. Our server was Mary who was fantastic. 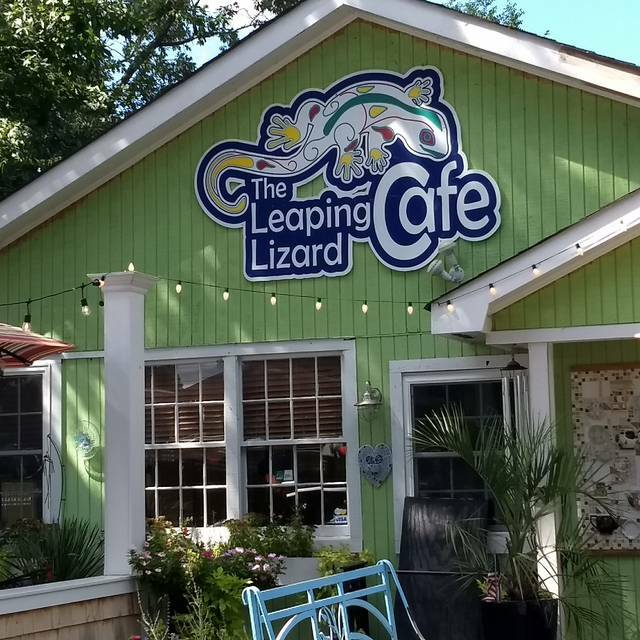 We have thoroughly enjoyed each visit to Leaping Lizard and look forward to returning soon. Highly recommend! Great food and character! Would definitely recommend this to friends. We were seated immediately with our reservation. Our waitress was very attentive and friendly. Food was delicious. Fun place for lunch. Always a fun "go to" spot .... great food and drink, have never been disappointed. They do need to upgrade their signage out front though. Absolutely fabulous. The food was delicious, as always. Consistently good and the service is wonderful. Leaping Lizard never disappoints. It's like being in a friends house with REALLY good fresh food. We both enjoyed the duck, although I found it to be a bit salty and a little overcooked. Great dining experience. The only criticism is the noise level. Given that it's a small space there probably isn't much that can be done about that. We will be back! 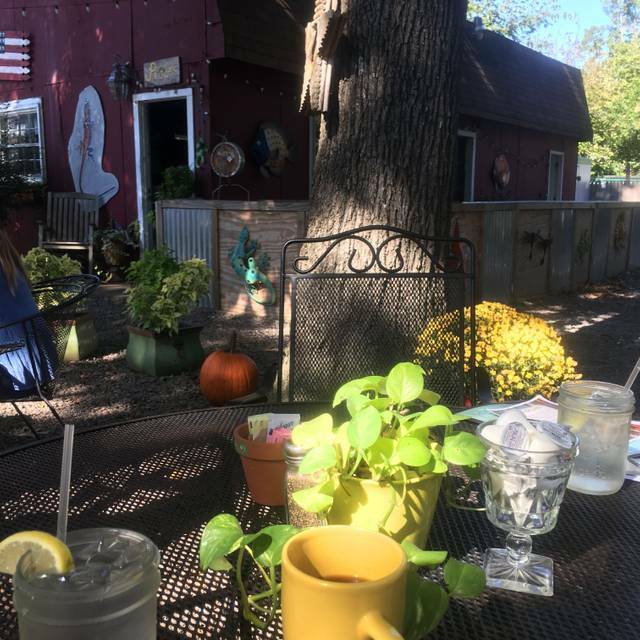 Food and Service are always excellent at Leaping Lizard. Fresh food in a fun atmosphere. Good deals on wine. What a darling restaurant! It was small, perhaps just 15 tables in the front & nearly all were full (plus a nice bar), but I understand when the weather is warm they open up the back & the patio. The food was a generous proportion & so delicious, rather comforting but also like something you would find in a Michelin star restaurant. I love that they grow all their own produce & want to return when their bakery is open... the key lime pie was sublime ...and among the best I've ever had! They also have a robust wine list & there's a nice selection of "flights" so you can sample different ones. The service was excellent & apparently the owners are wonderful to work for, our server Sheila said she'd been there for several years & it felt like they were a family. I can't wait to return when the weather is nice, the ambiance is so charming! Excellent food and service. We always have a great meal at Leaping Lizard. Awesome spot. Would have enjoyed a better table. Excellent on all aspects: food, service, ambiance, location, and a great owner! The food and service were fantastic. There was a very loud group of people at the bar, which limited our ability to have a conversation. We would definitely go back and hope for a less rowdy bar crowd. Excellent menu variety, great ambience and wonderful value. Food is delicious. Service is excellent. Hostess worked hard to get us in when we made a late reservation. Seating is not the most comfortable. Always a great meal at LL! If you’ve not been here yet, you’re missing out on a Shore Drive secret spot.